Dr. Anita Sharma (Physiotherapist, Fortis La Femme, Delhi) has been passionately working with women for over 28 years providing information, support and solutions during pregnancy, labor and post birth issues. 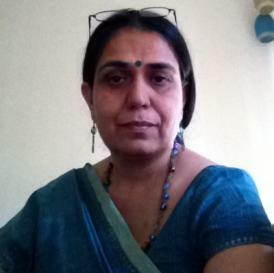 After graduating from Delhi university as a physical therapist she worked at the Cheltanham General Hospital, U.K. She set up and managed five physiotherapy departments at various hospitals in South Delhi after returning to India. Her adult teaching and training skills which she acquired as a professor in sports physiotherapy at IGIPESS, Delhi University enables her to provide comfort to young couples during her Lamaze sessions . She has attended over a hundred births supporting women go through the hard work of labor as a birth Doula. Her in depth knowledge of biomechanics and physiology of birth helps her to design preventive programs for women in areas of pelvic related disorders, incontinence and orthopedics.